Oh, hello, it’s been nearly a year since I re-visited this dusty old page. I’ve moved house and made some Frighteningly Big Life Decisions in the meantime, so please forgive the lapse. Gianetta Brooke, our heroine, is a young dress-model, divorced from a proud writer-type and looking for a rest from the bustle of 1950s London. Her mother suggests a trip to a nice hotel in Camas Fhionnaridh – or Camasunary – on Skye. “…it’s at the back of beyond, so you go there, darling, and have a lovely time with the birds and the – the water, or whatever you said you wanted.” Reached by boat, beautiful, mountainous, and remote, Camasunary is exactly the majestic, timeless setting you would want for a trip to untamed Scotland. Also a great location for a series of COMPLETELY BONKERS MURDERS. When Gianetta arrives at the hotel, she is dismayed to learn that a local teenager was murdered in a style that can only be described as “sacrificial,” her body laid out on a bonfire on the inhospitable face of the Blaven mountain. Possibly even more upsetting, Gianetta’s ex-husband Nicholas is a guest at the hotel, acting smug and flirting with a famous guest. In fact, all of the hotel guests are fascinating and unexpected people: an accomplished mountaineer, two women excited to “conquer” the peaks, a couple whose marriage is on the rocks, a travel writer with a pseudonym, a handsome country man, an admiral with a staunch moral code… If you’re thinking this is a great, albeit slightly predictable, set-up for a closed-room detective story, you’re entirely correct. What Wildfire At Midnight lacks in originality of plot it makes up for in sumptuous descriptions of mountains lakes, bogs, the sky, and the birds that fly in it. Even while Gianetta discovers body after body, the scenery demands attention. Rightly so, too, because in the end, those peaks and lochs directly inform the method and meaning behind the murders. The traditional twists of “oh I know it’s that guy who did it,” and, inevitably, “wait, no, I was wrong?” made me way more jumpy when a choking mist has blinded our narrator from the murderer in pursuit. And I say this as someone who has spent not a little time in big, old, mostly empty Scottish hotels: A+ atmosphere on the interiors as well. Gianetta isn’t as strong a main character as some of Mary Stewart’s other women, true, but I admired her determination to know the truth. Even when the police arrive at the scene, Gianetta is determined to keep searching, keep helping, keep smoking like a chimney. Her naturally generous disposition balances out other characters’ animosity towards one another (though who can blame them, since someone in the hotel is a crazed murderer). Even so, when push comes to treacherous shove, she’s a resourceful girl, heroic to the end of this city-girl-in-heathen-wilderness mystery novel story that kept me riveted and rather nervous until the last page. Not quite so comforting as I’d intended, perhaps, but definitely an escape from my surroundings. Now I’ve got to seriously commit myself to posting at least two reviews a year, which will be an improvement on my past streak. Apologies, appreciation, and adieu. Just to say: I read an advanced readers’ copy of this book, so some details may have changed by publication. The Islands of Chaldea is a middle grade fantasy adventure which was nearly completed by Dianna Wynne Jones before her death. (I’m still not over that tragedy. Waaahh.) Her sister, Ursula Jones, put the finishing touches on the book. That being said, the story-telling and sense of magic absolutely feel like something out of a Dianna Wynne Jones book, full stop. This is a stand-alone novel, so anyone can start reading it without having prior knowledge of Jones’s impressive bibliography, and there’s no unresolved ending to trample our souls. The plot and world-building in The Islands of Chaldea aren’t quite as impressive as in some of my favorite D.W.J. books, but it was an enjoyable read and brought me back to happy days reading this sort of book in the library when I was a 5th grader. Any book which would have made 5th grade Sarah happy makes 23 year old Sarah happy, too. It’s a fairly traditional story, described with Dianna Wynne Jones’s beautiful language. Aileen’s aunt Beck is a wise-woman of Skarr, and young Aileen will be one too. That is, she’s supposed to become a wise-woman someday. When she doesn’t witness any magical visions at her initiation it looks like she might not have any special powers after all. There’s not much time to worry about that, though, because Aunt Beck and Aileen are soon sent on a quest by the high king: a voyage across the great magical barrier to the island of Logra, where the prince has been held captive. In order to get across the barrier, which has separated Logra from the other islands for political reasons largely unknown, Beck and Aileen will have to bring one individual from each island with them on their quest. Joined by Aileen’s favorite whiny prince; a castle servant who got left on the wrong side of the barrier; an invisible cat; a sprightly man with an omniscient bird; and some artistic distant cousins, Aileen and Aunt Beck will do their best to find the prince and finish their mission. Along the way they meet mythical figures reminiscent to the Tuatha De Danann; suspicious sailors; and magical monks, all the while weird weather and strange luck greets them at every turn. Too bad there are people who don’t want them to succeed at all. People like evil enchanters and a queen who likes turning people into donkeys, but also someone from Skarr who may be hoping they don’t ever make it safely home. The not-so-merry band of heroes cover an awful lot of ground on their quest, so it’s no surprise that the world-building in The Islands of Chaldea was a bit rushed. However, the setting here is quite similar to what we encounter in so many fantasy stories – a magical land heavily influenced by European geography and mythology – so the brief encounters with faraway lands aren’t necessarily hard to imagine. I like how Jones pushed the similarity between typical old-timey fantasy worlds and our own world to the point of obvious parallels; with Skarr being so very much like Scotland (plaids and all), Bernica’s green hills and Leprechauns as Ireland, and the other British Isles represented as well. Each island has an animal spirit associated with it, and those guardians had wonderful personalities of their own. Even though Aileen and her companions don’t get a chance to thoroughly explore each island on their way to Logra, their quick but memorable encounters do make a strong impression. It could be the authors’ ability to boil down the essence of a place into a few anecdotes which keep the pace moving so swiftly, or it could just be the sense of familiarity which would strike any reader of similar fantastical children’s books. The former option seems quite likely, though, especially given Jones’s legacy of creating wonderful fantasy worlds which always have a twist or two to keep them unique. (The Dark Lord of Derkholm, for example, bends the magical land with traditional fantasy creatures rules so very amusingly with its Earthly tourists.) Chaldea isn’t nearly so inventive as some of her other settings, but the story staged on these islands is a traditional, comfortable tale. The recognizable landscapes, one after another, still seem magical because of the adventures they host and the wonderful characters who dwell there. The plot was pretty detailed but not so complex as other DWJ books. I think that The Islands of Chaldea is aimed at a slightly younger crowd than my favorites of hers. Books like Fire and Hemlock are packed full of legendary references and fairy-tale traditions, but featuring twisty plots which are staggeringly unique. Her earlier works are so rich in detail, they invite multiple re-readings and have almost always surprised me with something new even years later. This book is more up front, and the twists are more predictable. 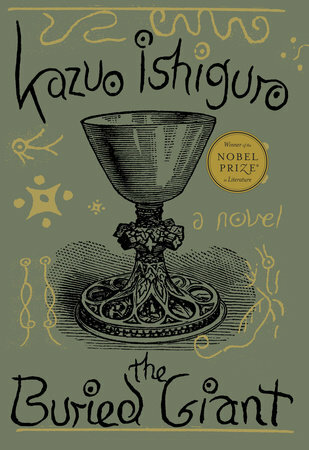 Compared to the Chrestomanci books, which are good for a similar age range of readers, the plot of the first 300 pages in The Islands of Chaldea is a little tame. The last few chapters of the book threw a whole bunch of action and twists into relatively few pages. Things get nicely resolved – perhaps they even fall into place a little too nicely – but I felt that the conclusion was rushed, with so much complexity appearing all of a sudden. It’s the writing and the characters which make it such a likeable fantasy book, then. Because it really is likable. The descriptions are lovely, feeding our imaginations with the sights, sounds, scents, and atmosphere of Aileen’s surroundings without straying from the young narrator’s believable point of view. The characters are just so much fun. I want to be Aunt Beck when I grow up. She’s snappy and impressive and looks really great in plaid. Her relationship with Aileen is brusque but caring, and when their authoritative roles get reversed due to a curse gone wrong halfway through the adventure I found the ensuing character development to be quite satisfying. Prince Ivar and his teenaged servant Ogo are banterous and amusing; they act as nice foils to the girls’ attempts to keep things in relative order. The animals have wonderful personalities, too, and the various travelers who join up on the quest ensure that things stay interesting along the way. Alas, the villains were a little underdeveloped, mostly appearing in the already-rushed end of the novel. But Aileen’s personal journey as she tunes in to her own powers and the magic of her lands is the real pulse of The Islands Of Chaldea, and not so much the results of the quest itself, and she becomes a very interesting young lady by the story’s end. I would say that it was an enjoyable escape into a good old-fashioned fantasy world, and will appeal to fans of Dianna Wynne Jones who still aren’t ready to say goodbye. 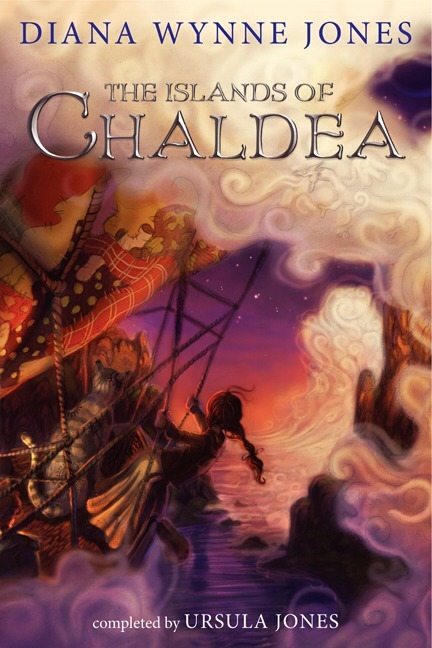 New readers will probably like The Islands of Chaldea as well, especially anyone who likes wise women who don’t stand for any nonsense (fans of Morwen in Patricia C. Wrede’s Enchanted Forest Chronicles, for example), or likes the traveling bits of high fantasy more than the political entanglements. 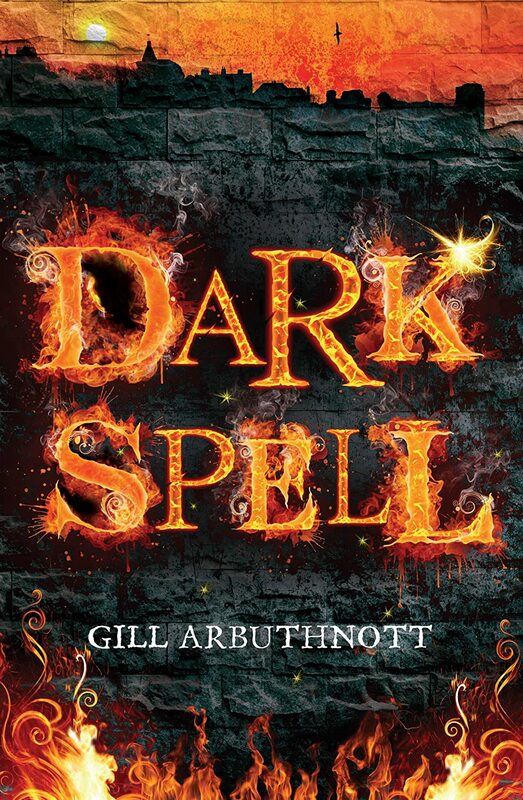 For older readers who want something a little more challenging and inventive, I would recommend Fire and Hemlock, Howl’s Moving Castle, or The Dark Lord of Derkholm. Really, pick up anything by the late and very great Dianna Wynne Jones, and you’ll have a magical experience ahead of you. She was one of the best. Tam Lin is part of the “Fairy Tale Series” created by Terri Windling. I was so excited to finally read this book. It’s been on my shelf for so long, but I forced myself to wait until spring to start reading. Tam Lin is my favorite legend of all time (I guess it’s technically a ballad), and the story has inspired a whole bunch of really excellent novels and re-tellings. Was Pamela Dean’s version of the story worth the anticipation? Not entirely. 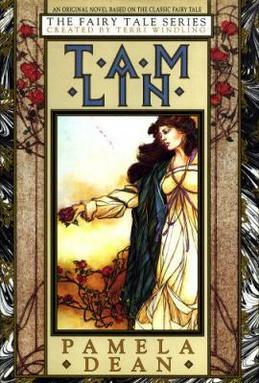 In Pamela Dean’s novel Tam Lin, the ballad’s general theme and storyline has been brought to a college campus in the 1970s. Janet starts her undergraduate studies, and she quickly makes friends with an arcane group of fellow students. The three boys she and her room-mates start to date, and the boys’ acquaintances, behave in a fashion which might be mysteriously esoteric and might just be pretentiously self-impressed. They are college freshmen and theatrical types, after all. In the midst of academic over-ambition; qualms about birth control; and relationship issues, Janet’s started to notice that things aren’t quite normal on campus. The Classics department has a habit of riding horses through the woods every Hallowe’en night to the sound of bagpipes. Nick, Robin, and Thomas are more comfortable arguing over Elizabethan plays than they are going on dates or discussing modern novels. The rumored ghost in Janet’s dorm building has been throwing books out the window, unless it’s someone playing a prank no one can quite understand. The boys are strangely beholden to one Professor Medeous, who is head of Classics – brilliant and manipulative – and a complete mystery. As Janet tries to puzzle over the anomalies on campus, she uncovers clues to a much older and more dangerous cycle of events which seems straight out of a fairy-tale. Her friends’ lives may be in danger, but to help them she’ll need to work out what happened at Blackstock in the previous century. On top of that serious mission, she’s got essays to write and Shakespeare to study! The book is a long one. It describes Janet’s entire time at Blackstock college; four years of and then she took a class about poetry, and, the five of them sat around discussing Ancient Greek for a solid hour in the dining hall. (These are not direct quotes, because the real descriptions of class schedules and homework assignments sometimes feel like they go on for many pages.) Tam Lin is obviously, and unashamedly, an extensive love-letter to Pamela Dean’s college experience. I didn’t always see the point in the heavy focus on campus life, but I will say that her descriptions did make me feel as though I were right there with Janet in her dorm room, or puzzling over some text in the library, or taking the long way to the bridge to meet some troublesome lad. The thing is, I don’t think the fairy-tale elements of this novel quite justified the hundreds of pages about campus life. It was just too imbalanced for me. To clarify: Pamela Dean obviously knows her ballads and legends like an absolute wizard. There are several subtle references to medieval British folklore sprinkled throughout the otherwise-mundane chapters of the novel. From the wreaths of symbolic flowers on Janet’s mysterious academic advisor’s door, to the prevalence of green clothing whenever something faintly magical gets suggested, I was always happy to notice a little nod to the old stories which the novel meant to emulate. There are probably a hundred references which I wasn’t sharp enough to catch, too, because in the game of How Many Obscure Literary/Academic/Classical References Can We Hide In One Text?, Tam Lin rivals T.S. Eliot’s poem “The Waste Land”. (Janet even first meets Nick over a shared love of that poem, and that just sets the stage for a bazillion other oh aren’t we a clever crew moments.) But unless you’re easily satisfied with minor hints of fairy activity, these occasional moments of mystical intrigue won’t be enough to keep you entirely engaged. The most otherworldly and exciting scenes took place whenever Janet and her friends went ghost hunting, or exploring at night to chase down the sound of bagpipes and spy on the Hallowe’en hunt. Alas, the unusual events they witness don’t nudge the plot into any truly spooky atmosphere. It’s not until the book’s final hundred pages that the vague hints and scattered references draw together for a supernatural showdown. By that point, the story’s momentum is too bogged down in tedious information, and the action seemed to come from nowhere. A great many threads and plot lines get pulled into the novel: fairy-tale; ghost story; campus drama; literary tribute; coming-of-age story, but none of these aspects gets developed enough. Instead, we have to slog through too many pages of self-indulgent cleverness to get to the legend at the story’s heart. It’s all well and good for the story to be anchored in a fresh, modern setting – those re-tellings are usually my favorites – but if the readers get bored of homework and gratuitous scholarly musings before they even reach the story’s fantasy elements, they could miss the magical moments all together. When adapting a folktale or legend, it’s really important that the characters retain the qualities which make them so memorable. In this case, Janet (or whomever her counterpart may be) needs to start out obstinate and entitled, but she should turn into a brave, compassionate heroine by the time she faces the Fairy Queen. Dean’s Janet starts out unbearably smug and never gets much better. She does improve a little, recognizing her faults and follies over the course of four years, but she doesn’t change enough to make us truly root for her. The ballad itself isn’t always terribly long, but in five minutes of singing the character of Janet can undergo a better transformation than she did in all four hundred pages of this novel. Also, for someone who wants to research and understand everything (Janet’s like a Hermione who never stops being a know-it-all), she manages to completely overlook all the signs that Fairyland might be at work in her University. Time traveling crosses her mind, and she’s happily inquisitive about ghosts, so it’s a little hard to believe that she’d never heard Fairport Convention’s version of the song, which had been popular only a few years before the story starts. In fairness to our heroine, Dean does make use of the fairy magic confuses mortals trick, and while this slows the plot to a snail’s pace it does, at least, fit nicely with the genre. Janet’s good qualities – her inquisitive nature, her steadfast determination, and her wits – were completely over-shadowed, for me, by her constant need to be the smartest person in the room and the slight brattishness which never really turns into bravery. Thomas –the Tam Lin of this version – is actually a fairly good character, both in his own right and in conjunction with the ballad. He doesn’t exactly stand around guarding a forest all day, but the mortal trapped by fairies vibe is right on target once the plot finally gets to work. He can’t seem to graduate, distrusts his friends, and has trouble saying what he means. Dean describes his despair and his enthrallment very well. Thomas’s scenes gave me hope that the parallels between the novel’s namesake and the events unfolding would get clearer. Unfortunately, they did not. In my opinion, the Fairy Queen should be the coolest character in the story. In the ballads, her scene is my absolute favorite. She can start out as a complete mystery, as the stunning but volatile Classics professor does in the novel, but she absolutely must have a strong personality and embody the traits which are inherent to the legacy of her character. I tend to judge re-tellings by their Fairy Queen, and this one fell disastrously short on that account. We very rarely see the Fairy Queen figure, so her role in the story is largely sustained by other characters’ conversations about her. I know that’s how we learn about her in the ballad, too, but two lines in the song manage to convey an aura of power and dread more distinctly than all the prose-y conversations in this book. Maybe the stakes just weren’t high enough, or the action built up far too quickly out of nothing to create the necessary aura of unearthly menace. Even when delivering my favorite lines, it felt like the character was simply reciting from a hasty script. There is always a scripted nature to any re-telling – a formula the author chooses to follow to a certain degree – but since Pamela Dean ignored most of that formula until the end, when it took over the plot rather too conveniently, I see no reason why the Queen couldn’t have been suitably impressive. Most minor characters were fairly realistic and reasonably likable, but it just felt like I was eavesdropping on some overzealous undergraduates in a Harvard Square cafe. Janet’s family is delightful – (what a relief, since I really like the kind father part of the ballad) – and her scenes at home do manage to provide her character with some redeeming qualities. The twist at the end makes up for some muddled personalities, keeping in mind that we see everything from Janet’s point-of-view so when she’s confused, we’re confused. The characters who had some connection to the ghost were far more intriguing than those with fey-like qualities, but that’s the opposite of what I’d prefer. Fairyland’s denizens can be inscrutable puzzles and still keep the reader enthralled, but the eldritch members of Blackwood’s faculty and students just seemed wooden and shallow. I didn’t care enough about any of them besides Thomas and, sometimes, his friends. Maybe my disappointment is due to unrealistic expectations. I would love to know how the book feels to someone who wasn’t in love with the original ballad before they started reading. As a coming-of-age campus novel and nothing more, Tam Lin would still have issues with pacing and character development. But the descriptions of college life in the 1970s – the issues of sexual awakening, scholarly ambitions, and young people on their own for the first time – could possibly interest some readers enough to justify the imbalance between so many mundane details and the underdeveloped supernatural elements. Terri Windling’s introduction and especially the Author’s Note at the end of the book do provide some explanations about the story’s peculiar direction, and I appreciated Dean’s choices a little more after learning what inspired her. Anyone who tries the novel should make sure to read those, as well. These notes won’t entirely excuse the bad pacing and unlikable characters, but they do provide some context and several interesting observations about the ballad itself. Tam Lin wasn’t a terrible book, despite all my complaints. I did read all the way to the end, and the subtle mysteries building around Blackstock were interesting enough that I cared to find out what Janet would discover. I liked solving bits of the puzzle before she did – recognizing symbols from the ballad – and I liked the twist at the end. Ultimately, though, I spent most of my time reading the book white-knuckled from frustration rather than suspense. There are better books out there which have covered the two main styles of Tam Lin. If you want a thoughtful; twisting; incredibly well-researched modern adaption of the ballad, read Dianna Wynne Jones’s Fire & Hemlock. That’s got a billion and twelve folklore references in it, too, but both the magic and the real world are far more intriguing. For anyone after a twisted and highbrow story of undergrad Classics students in way over their heads, read Donna Tartt’s The Secret History. Tam Lin is a heavy-handed combination of the two genres, and while I would recommend it to devout fans of either genre and/or the 1970s, the novel just doesn’t live up to the legacy of its title. “Tam Lin” is a Scottish ballad which has been adapted into a great many songs and stories. There are many different versions of the ballad, all of which follow the same general plot and central characters. My favorite musical recordings of the song are probably those by Fairport Convention and Tricky Pixie, though there are countless others out there for your Youtubing pleasure. If you want to look at a large selection of the ballad variations, have a scroll through this page. “Tam Lin” is Child Ballad #39, and the story is still well-known today. I’ve summarized the general story here, based on my own favorite versions. The legend: Janet, daughter of the lord who owns the land, breaks the rule never to go to Carterhaugh and picks a forbidden rose there. The woods are off-limits because, as the song tells us at its opening, young Tam Lin guards the place and takes either the green mantles or maidenhead of any girl who trespasses. Tam Lin appears to Janet, demanding why she’s come to Carterhaugh without his permission, and she retorts (rather smarmily, in some versions) that she can come and go as she pleases because she was given Carterhaugh by her father. The ballads usually gloss over the following events, but it seems that Tam Lin likes her defiant/entitled spirit, and she falls for him too (once he stops shouting at her about flowers, I assume). The point is: things get consummated in the woods. Probably a little mossy, and most certainly a bit surprised by the un-planned direction of her afternoon, Janet returns to her father’s hall. It quickly becomes obvious that she’s pregnant, but Janet refutes everyone’s curiosity about who the baby’s father might be by declaring that her lover was an Elfin knight, who she’d not trade for any knight of her father’s human court. After nine months, our forthright and loyal lassie returns to Carterhaugh (sometimes she’s looking for an abortive herb at this stage), and asks Tam Lin how he got stuck guarding the forest in the first place. It turns out he was kidnapped by the Fairy Queen and has become a human member of her court; he haunts Carterhaugh at the Queen’s bidding. Tam Lin also tells Janet that every seven years the Queen must pay a tithe to Hell, sacrificing a member of her court. Being a human, handsome, and one of the Queen’s favorite knights, he is almost certain that the sacrifice this year will be himself. Janet’s not keen to let the Fairy Queen give her lover over to the fiends of Hell. When Tam Lin tells her that she might be able to save him if she yanks him from his horse as the Fairy Host rides through the woods on Hallowe’en, she gets all heroic despite the added inconvenience of being incredibly pregnant. At Miles Cross, Janet waits on a stormy night to witness the court go riding by. As Tam Lin had instructed, she lets the black horses pass by, and then the brown, and when she sees the white horse at the end of the procession she pulls the rider down. The faeries turn Tam Lin into all sorts of horrible creatures in an attempt to force Janet to release her hold on him: lions, snakes, bears – it varies from song to song but they’re always mean and bite-y. But she was warned of this, too, and hangs on. Even when Tam Lin turns into a burning brand in her hands, she holds fast, and eventually he turns back into himself, naked and rather bedraggled, and she covers him with her green mantle. The end of this action is usually the end of the narrative. The Fairy Queen almost always ends the song with some bitter and imperious line about how she would have turned Tam Lin’s heart to stone; or his body into a tree; or taken out his eyes, had she known what would transpire that night. We’re left to assume that Janet and Tam Lin limp off into the night to figure out their unnatural family dynamic in peace, while the Fairy court presumably has some last-minute alterations to make to their plan. It’s a wonderful ballad, with several important symbols and elements which make it work out both as a piece of fairy-lore and as a compelling story. You need the forbidden woods to be mysterious, and their guardian Tam Lin to be both powerful and vulnerable: frightened for his own life while still in touch with Fairy land’s magic. Janet’s got to be youthfully hot-headed at the beginning, and turn into a brave, compassionate heroine by Hallowe’en. The ballad might be named after Tam Lin, but the story’s actually about Janet. I think that her behavior upon learning that she’s pregnant is incredibly important: Janet’s not going to be bullied by the expectations of stuffy old court traditions. She’s comfortable with herself and generally the sort of leading lady you want to cheer for. Most importantly, in my opinion, the scene at Miles Cross needs to be dangerous and otherworldly, so that Janet’s bravery in the face of the Fairy Court can be properly appreciated. The Fairy Queen is one of my favorite characters out of every myth, legend, and ballad I’ve ever encountered. She doesn’t ascribe to mere human manners or morals, but there are folkloric conventions her character really ought to fulfill. The Queen of the Fairy Court – sometimes specified as the Unseelie Court – should be powerful, impatient, and utterly self-obsessed. (You see why we would get along.) The dangers of crossing this lady cannot be taken lightly, so her formidable presence highlights Tam Lin’s peril and Janet’s courage. Finally, the rules and magical logic which apply to freeing a knight from the Fairy Court are steeped in tradition and very important. Various interpretations of the story change up the forms Tam Lin takes, but the point is that Janet holds on. She gets beaten, bitten, bruised, and burned, with whole host of immortal creatures watching her agony from horseback. But fairy stories are governed by tests and loopholes, so when she wins her love fairly, there’s naught the court can do. Names are always important in fairy stories. Promises are binding and when you’re forbidden from speaking or moving you’d better hold your tongue and stand very still. Just as characters in these songs and tales must follow the twisted rules which create their world, so should re-worked interpretations pay attention to the necessary patterns. 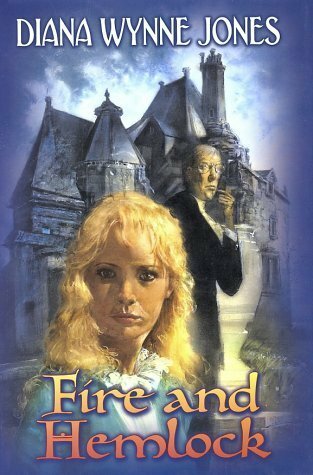 A novel which draws on any folk ballad or legend can change all sorts of characters and plot points to its heart’s content, in my opinion, as long as the canon functions of Fairyland get their due respect. Sometimes authors bend the rules, and when it’s cleverly done those alterations are exciting. If bits and pieces of similar stories are wisely, cleverly sampled to form one big narrative, the results can be spectacular; Fire & Hemlock contains threads from “Tam Lin,” and “Thomas the Rhymer,” all twisted into one big ol’ gorgeous novel. It’s frustrating when an author ignores vital parts of the folkloric tradition just to suit their own convenience, especially when drawing inspiration from such a well-known ballad as “Tam Lin,” but any story with hints of Fairy’s sinister, timeless magic is worth investigating. Below are some of books inspired by “Tam Lin” which I’ve read. There are so many different versions of the ballad itself, so certain themes are more prevalent in each authors’ writing style. Not everything inspired by the ballad is necessarily a faithful re-telling; some of these books just borrow from the plot or make use of the key elements. Tithes to Hell, forbidden woods, and angry Fairy Queens tend to make for an interesting story. Anyone with books to add to the list and opinions to share should speak up in the comments, because I’m always on the hunt for more to read on the subject. One of my favorite fantasy novels, making a near-perfect use of all those mythical rules I went on about, and then twisting them in the best of ways. Even though the main character is a child for most of the book, it is (and should be) a favorite amongst adult fantasy enthusiasts. I love that Polly recognizes the similarities between her own adventure and the old ballads, and uses this to her advantage. Very highly recommended to anyone who likes their stories to be full of layered inferences to the old stories and songs. Again, a book which includes certain characters and plot points of the ballad without being a thorough re-telling. Good, gritty YA with a firm grasp on fairy lore. I loved Tithe as a pre-teen and still think it’s pretty great. The Fairy Courts (both Seelie and Unseelie) are described particularly well. You can read my full rant and review here, in its own post. Pamela Dean’s book contains interesting allusions to the old folk stories and songs, which are fun to hunt for through the pages, but with a title so obviously referencing the ballad I was disappointed with the re-telling. The action of the ballad is set on a college campus in the 1970’s, over the course of Janet’s four years as an undergraduate. Rather than just borrowing from the legend, Tam Lin enticed me with the idea of a thorough re-telling with connections between nearly every character and plot point. Unfortunately, it felt imbalanced with too much homework and not enough of a magical atmosphere. 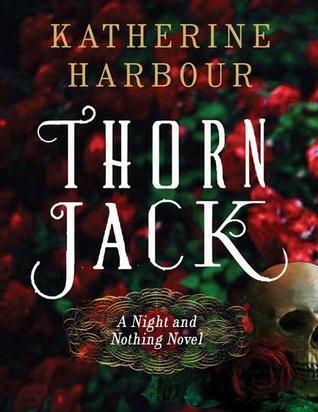 I read Thorn Jack without so many expectations, after learning my lesson with Dean’s Tam Lin. Despite some immature writing and a bothersome romance, I really liked it. Goes to show that it’s better to read with an open mind. Thorn Jack borrows from the Tithe aspect of Tam Lin, and has a magnificent Faery Court disguised as wealthy young people. The plot twists away from the ballad’s original pattern, borrowing an awful lot from Celtic faery mythology to create a huge (and sometimes confusing) cast of minor characters. The references to Tam Lin are pretty good, and it was a fun book despite the clutter. My full review is here. Which of these should I read first? Suggestions? Opinions? Books I’ve not yet heard of that I need to track down ASAP? I’m always excited to read another take on my favorite fairy story – be it literary fiction or pulp fantasy or something in between – so please chime in with whatever comes to mind. I feel like I’ve saturated the blog with fairytales and folklore this spring, so maybe it’s time for some other subjects, soon. I hope my unofficial Fairy Fest, 2014 hasn’t been too unbearable for those of you who prefer cutlasses to curses. Swashbuckling heroics and clever kid’s books are on the way, I promise. For now, I’ve just got to wait out this folklore virus and enjoy every page of it.